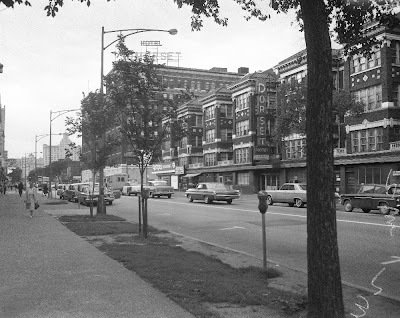 A terrific view of Sheridan from 1964, which shows both the Somerset Hotel with the marquee still on top, and the Dorset. Way in the distance, you can see the Edgewater Beach Hotel and apartments. The Somerset Hotel has always been a part of my teenage years. The reason being i had my Bar Mitzvah party there. A big event with over a hundred people in attendance. Great band and food. Hi Moshe -- Did you get any pictures of the interior of the Somerset for your party? Would love to see them.